Perfect size and great price! Exactly what we were expecting and fit for purpose! 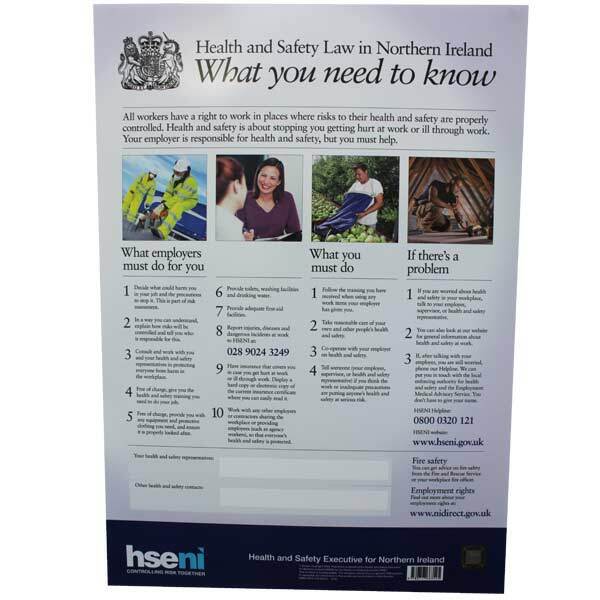 The quality of the HSE Notice was very good indeed. Just what I wanted. 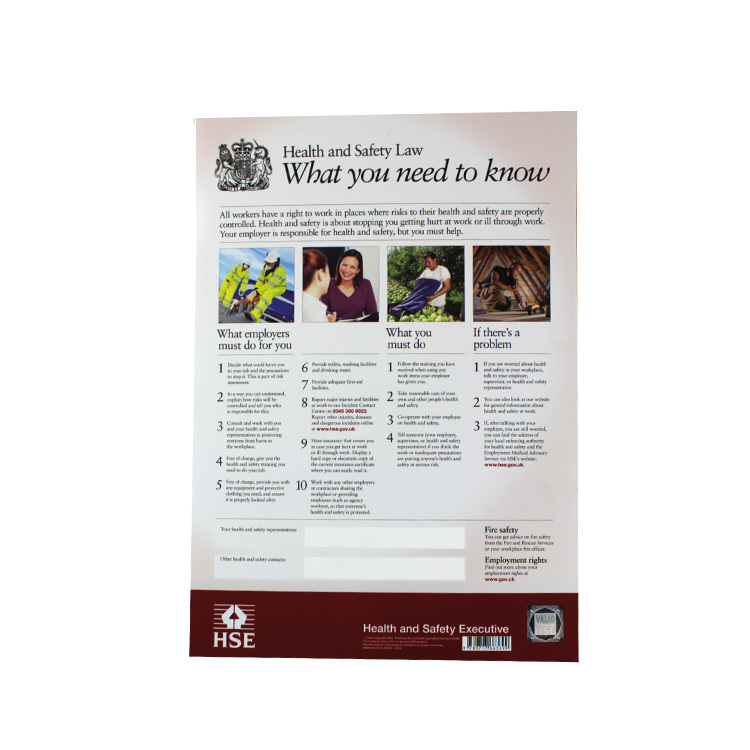 Displayed in offices - good product and packaged properly. Exactly what I was looking for and delivered quickly. Arrived in excellent condition with minimal packaging. 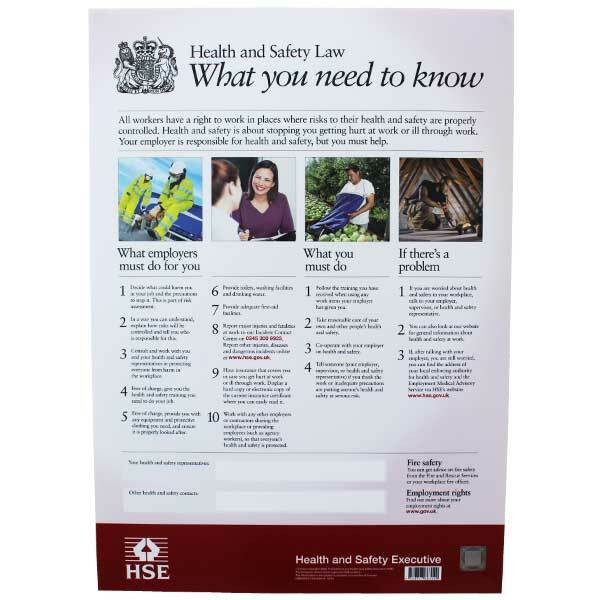 It's a health and safety poster, it'll go on the wall. recommend to all who need it. Very good quality. 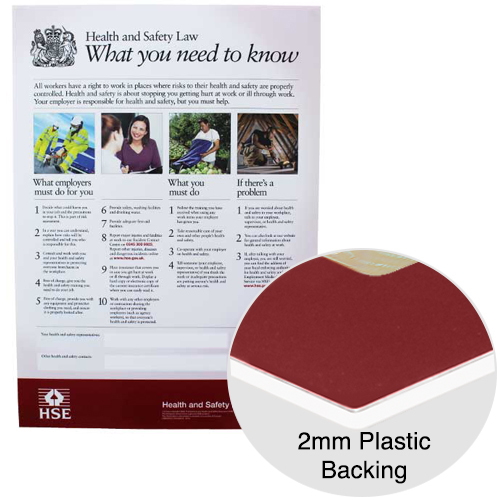 Will be displayed on a wall near the kitchen so needs to be very durable. We have several centres and need to display this poster in all of them. Exactly what I wanted and needed at a better price than I could find elsewhere. 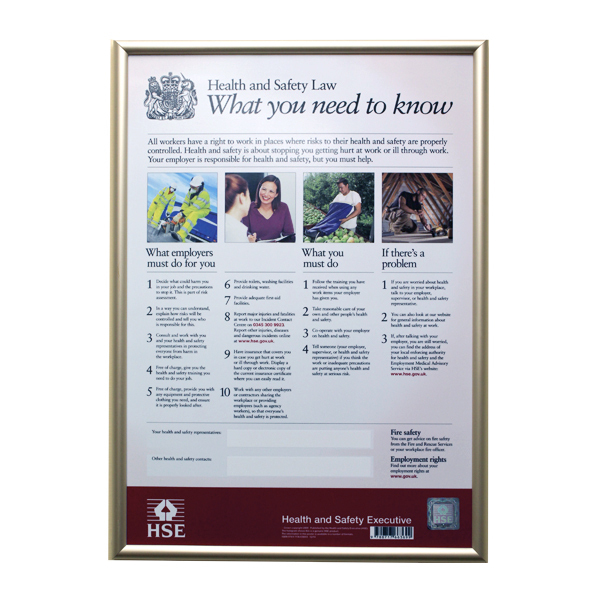 The latest version of the H&S Law Poster- is yours up to date?